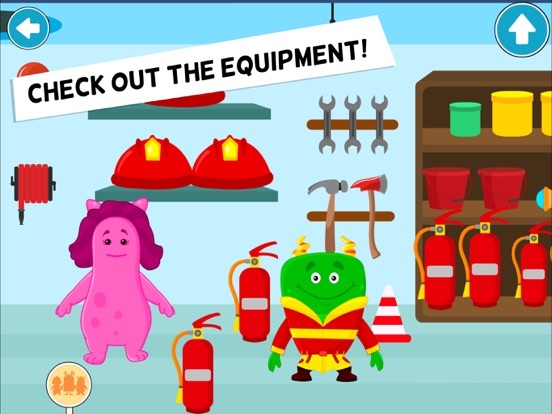 In this fire station, you will find a bright red fire truck packed with all the important equipment! You get fire extinguishers, megaphones, first aid box, fire hose and so much more in this fire station. It's JUST like a real one! 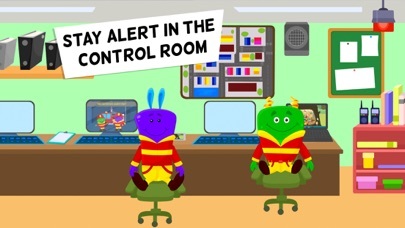 Control room: Find out all about the emergency on your computers in this room! Confirm the location and head out immediately! 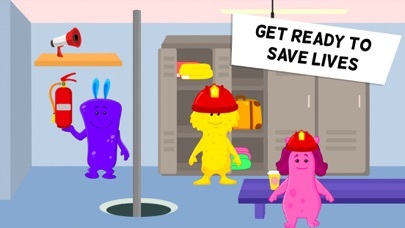 Locker room: Put things in the lockers and have a chat with your fellow fire fighters in this room. You can even workout by using the punching bag or the dumbbells. The first-aid box is right here too! Kitchen: Prepare yummy food for yourself as well as your teammates in this Kitchen. Cook or bake anything you want or pick something right from the refrigerator. Every fire fighter is hungry so feed them quickly! Storage room: Get everything you need for your mission in this room. 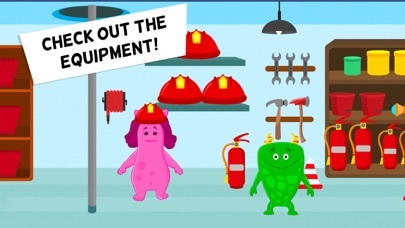 There are buckets, helmets, spanners, fire extinguishers, shovels, ladders, boxes and more. Don't forget to take them with you when you go out! 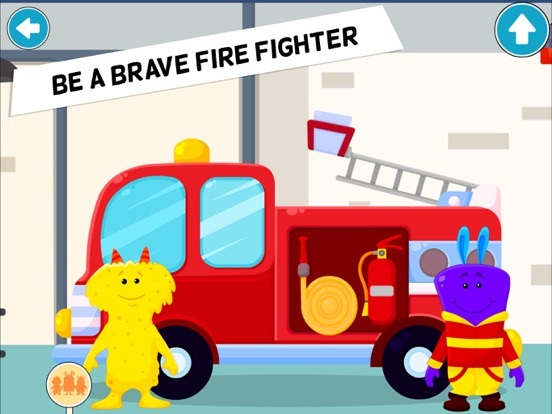 Fire truck: Of course, kids' favorite vehicle 'fire truck' is there in this game! Use it to go on your rescue missions. * Tap, drag and interact with every object you see to unveil hidden surprises. 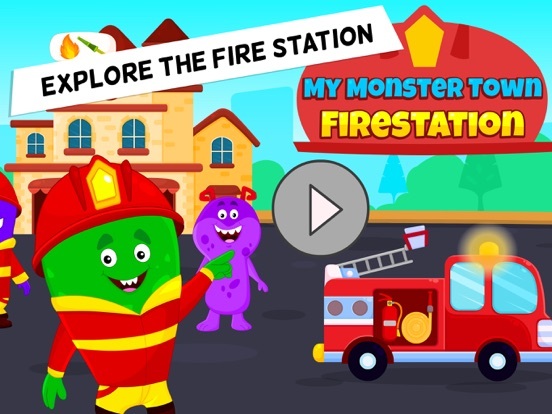 * 9 Monster fire fighters for you to play with! * Ideal for little explorers of ages 8 and under. * Absolutely no advertisements or pop-ups. 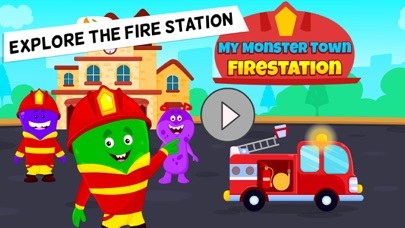 * 2 floors of fire station to explore! * No internet required. 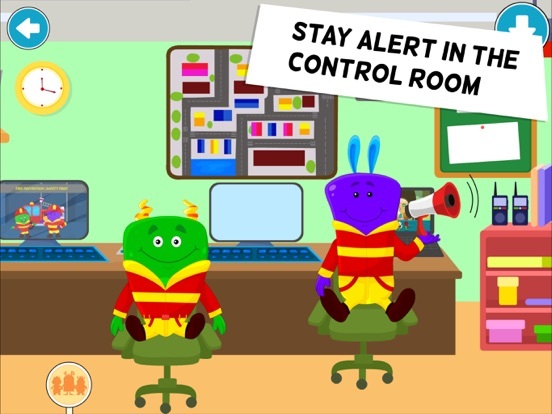 Play whenever you want! Try our latest app update that comes with more performance enhancements and some small bugs fixed. 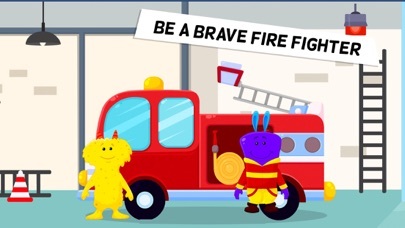 Download the app now and pretend to be a fire fighter.